They supply new and used farm machinery from a number of leading farm machinery manufacturers. 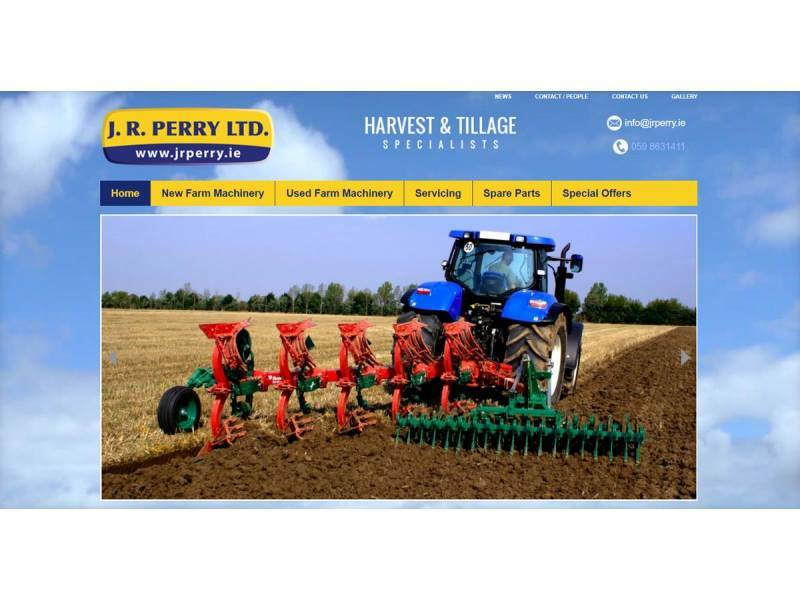 J.R. Perry also provides servicing for a range of farm machinery. 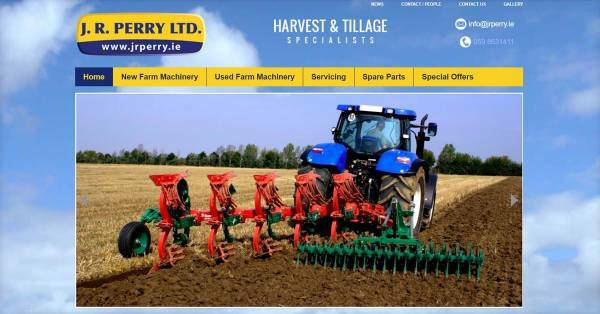 J.R. Perry use the Dotser AgriCMS platform to promote and sell their wide range of farm machinery. Considering the needs of both J.R. Perry and their customers, Dotser developed a comprehensive online resource. Content can be easily updated on a regular basis by staff at J.R. Perry using the Dotser AGRICMS. This ensures an engaging experience for site visitors as well as a more efficient administration process. Click here for further information on Dotser's AGRICMS.